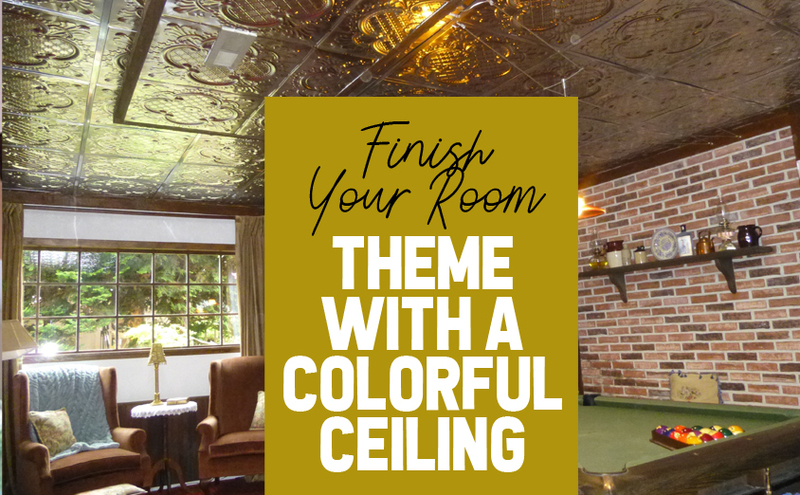 Colored metal ceiling tiles can effectively add to the theme of any room in the home and offer more style and character than a plain white ceiling ever could accomplish. The following are a few examples of some color options you can choose from for different trendy room colors and themes. For the living room, people tend to gravitate toward neutral colors or deeper hues that are both warm and earthy. If you decide to choose this muted color palette, you don’t have to sacrifice on that pop of color you crave. Many colors will go well with deep and neutral colors like greys, blues, taupe, and white. Keep the undertones of these colors in mind when choosing coordinating colors. For example, a beige color may contain undertones of pink, tan, or gold and these will make a great accent for your living room ceiling. For the bedroom, you can pick up on the subtle hints of color that already exist. For example, what colors can be found in your comforter, throw pillows, or other accessories? If you have hints of yellow, navy blue, or even burgundy, then a forest green colored metal ceiling tile can add that pop of color you crave while also picking up and complementing the smaller hints of color that already exist in the room. No matter what theme or design you choose for your kitchen, you can use colored metal ceiling tiles to bring the space together in a more modern and cohesive manner. If you start with a white foundation for the kitchen, you can use a colorful backsplash and then pull color from the backsplash to incorporate into the ceiling tiles. A red or high gloss red metal ceiling tile, for example, can add some dramatic effect to the kitchen and bring all the other elements together with the clean lines of the white cabinets.